B&G are pleased to announce a software patch for the Zeus and Vulcan range of multifunction displays following the release of 18.3 in January. This new release incorporates various improvements and fixes which were identified by our internal SQA teams and customer feedback since the release. o The B&G 18.3 software contained a firmware update for the WiFi-1 module which under certain conditions could cause the module to stop responding. This has been resolved and the latest patch checks the external WiFi-1 module before carrying out any updates to see if update is required. o In limited situations a connected Radar would report “No Radar” upon power up leaving the radar inoperable. This has been resolved. Note: Any existing WIFI-1 module which is unresponsive, please contact your local Navico Service team. The latest software version is available to download from this page or direct from an MFD connected to the internet. B&G are pleased to announce the release of the latest update for the Zeus2 Series. This new release incorporates several new features and various improvements and fixes. It is now possible for MFDs to synchronise Waypoints, Routes and Tracks with the C-Map Embark passage planner app available on iOS and Android. This allows points of interest along with pre-prepared routes to be transferred to your MFD from the comfort of home. It is now possible for compatible MFDs with built-in WiFi to simultaneously connect to the Internet and your mobile device. This allows Navico’s Link app to be used while the MFD is connected to the Internet. The Chart Menu has changed to a simpler layout to make it easier to find the desired setting. Along with the change to the Chart Menu, the ForwardScan menu has also been changed. In addition to the Menu Changes, the “Files” tool user system has been renamed to “Storage” allowing direct access to Waypoints, Sonar Uploads and Transfers. * New progress bar added to show progress when calculating a route with Navionics Dock-2-Dock Auto-Routing feature. B&G are pleased to announce the release of the latest update for the Zeus2 series. Previously software RTM (release to market) version numbers were device specific e.g. a Vulcan 7 could be have a version number of 4.0 while a Zeus² could have a version number of 7.0 even though the software is from the same feature stream This causes confusion as to what products have what features. • The new version number is made of the Year and the sequential release number in that year. In this case for this version,18.2 means that it is the second release for 2018. Compatible MFDs that have built in Bluetooth can now pair with a mobile phone and allow text messages to be displayed on the MFD. B&G are pleased to announce the release of a new software update which includes new features for Zeus2. WindPlot is a special type of Time Plot, specifically designed to help understand recent changes in wind speed and direction. 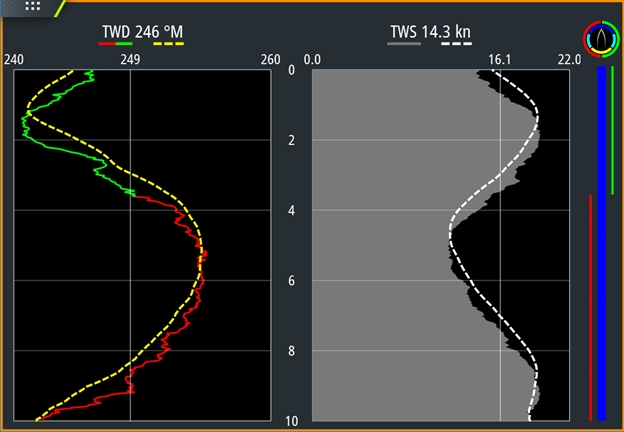 The changes to WindPlot are aimed at providing users with a clearer view of wind trends, easier comparison of True Wind Speed (TWS) to True Wind Direction (TWD) and better display in small panels for use alongside charts, RacePanel or SailSteer features. 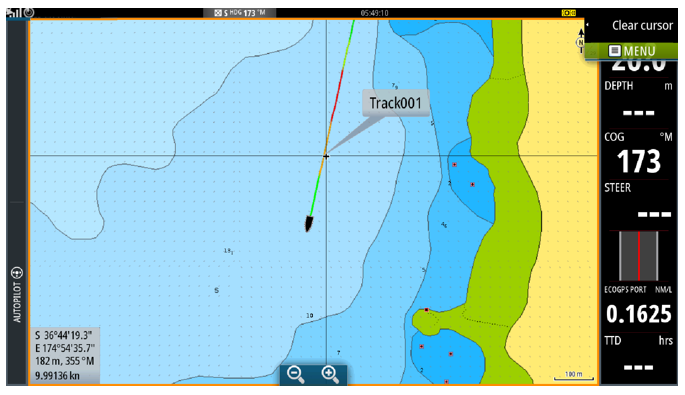 An (optional) “tack bar” feature has been added that clearly identifies point of sail (pre-start, upwind, reaching, downwind) along with the tack of the boat. Dual Mode view can also colour code TWD for port/starboard tack. WindPlot Dual Mode view. Showing tack colour coding and Tack bar (right) feature. 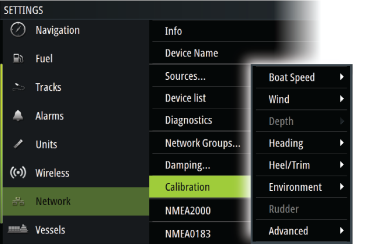 Data values are logged and provided to the user as average values per tack, to aid awareness and calibration. 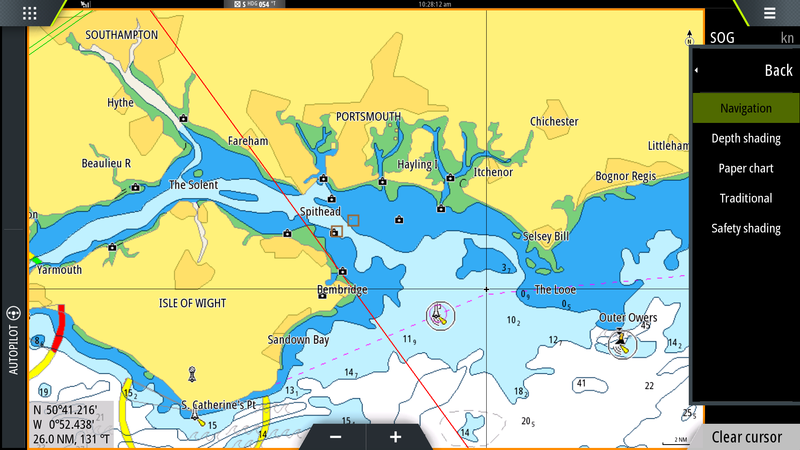 We have made enhancements to the C-MAP chart presentation, with the introduction of a new palette that closely matches several common hydrographic office presentations. AIS VDO / VDM sentences not been sent correctly over Wi-Fi to external Apps. B&G are pleased to announce new software for the Zeus³, Zeus² and Zeus² GH MFDs range of multifunction displays. This new release incorporates several improvements and fixes. • Performance increased and optimizations - this release contains several performance enhancements that can be seen in a smoother user experience compared to previous versions especially around chart redraw speeds and moving between pages. • An issue has been found and resolved with the internal Wi-Fi that could lead to intermittent connections when connected to a Wi-Fi hot spot. Users that use Navionics SonarChart Live feature may experience the chart feature slow down over time due to extended logging. We are working hard with the chart manufacturer to resolve this. Autopilot controls are now accessed from the new control bar. The autopilot control is visible if a B&G autopilot computer is on the NMEA 2000 network. Selecting the autopilot control button will expand to reveal the autopilot controller, showing the active mode, heading, rudder and various steering information depending on active autopilot mode. The autopilot indicator remains on the status bar. The audio control bar is available when compatible, active audio server is on the NMEA 2000 network. Select Audio in the control bar to open the audio controller. Select the Audio source button and then select the audio source. 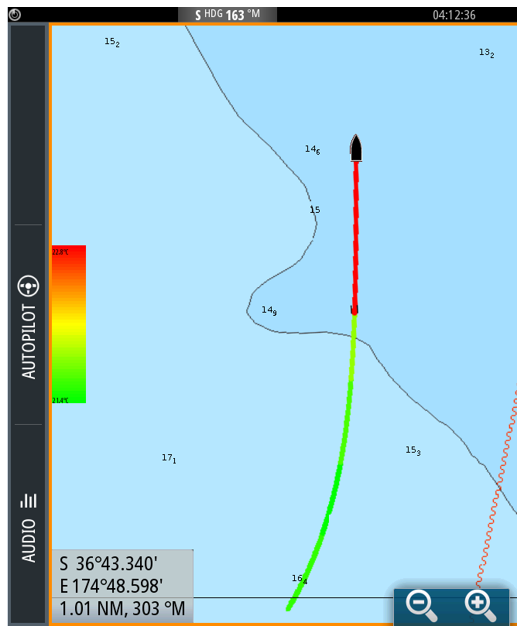 To enable quick and easy identification of mark rounding directions when racing the latest update allows users to set a specific course as a race, which then automatically applies mark rounding directions based on the relative angle between legs of the course. These angles can be edited by the user to match those provided by the race committee, if different. The system can now dynamically change the colour of a track based on a source of data. The colour scale will use red to show the lowest value and green for the highest with the mean value shown in yellow. Enable Colour Tracks using the option in the side menu under Chart Options. Once turned on the unit provides the ability to set the data parameters. Heat map is a new Chart Overlay that shows a history of the sea surface temperature where the boat has been. The Sea temperature history is shown as a coloured line where the boat has been. A sea temperature sensor is required and set as a source of Sea Temp in the Network settings. The colours relate to a key that is visible when the overlay is active. The keys values will automatically adjust based on the current temperature reading. The pallet of the Heat Map and key can be adjusted. Screen shot files are now named with Date and Time e.g Screenshot_2017-07-06_05.01.12.png. Dock to Dock out side of the USA: A fix has been implemented for the feature not working on some units with certain Navionics charts in Europe. High voltage alarm: Some customers have reported High Voltage alarms even though the vessels voltage is normal. A power control fix has been implemented to work with Fusion MS-BB300 radios. 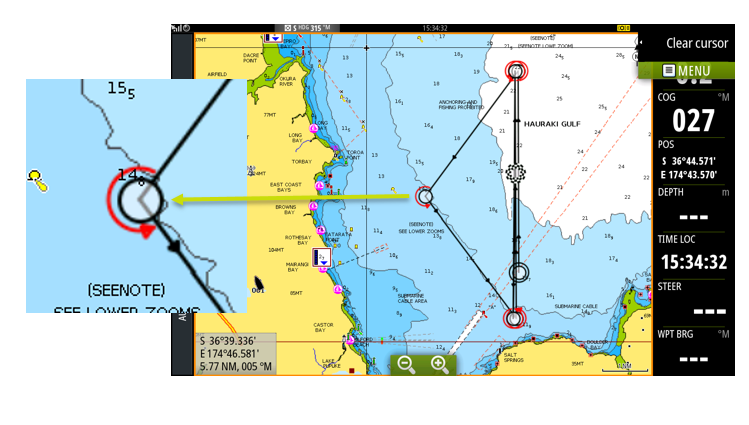 Weather Routing by PredictWind is now available to B&G MFD and Chart Plotter users via a direct Wi-Fi connection. PredictWind weather routing and departure planning services are online weather routing tools for creating the fastest or safest route for your trip based on weather and tidal conditions. Navionics Dock-to-Dock* is an improvement of the current Navionics Autorouting algorithm. Navionics Dock-to-dock Autorouting quickly calculates a detailed route even through narrow passages and channels, based on chart data and navigation aids. Naviconics SonarChart™ Live** Allows the creation of personal 1 ft/0.5 m HD bathymetry maps in real time on the Simrad MFD. With SonarChart™ Live, users can engage the sonar to create new and increasingly detailed charts everywhere they go. Navionics Tide Correction for SonarChart Live**. When selected, the tide correction feature uses information from nearby tide stations (if available) to adjust the depth values used by SonarChart Live as the sonar is recorded. 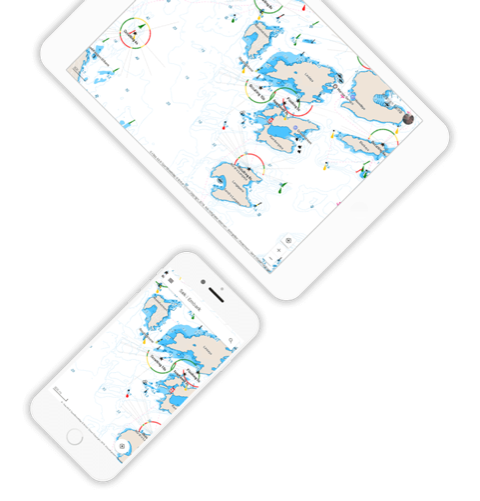 Navionics Plotter Sync*** allows the synchronization of routes and waypoints between the Navionics mobile device App and a B&G MFD. 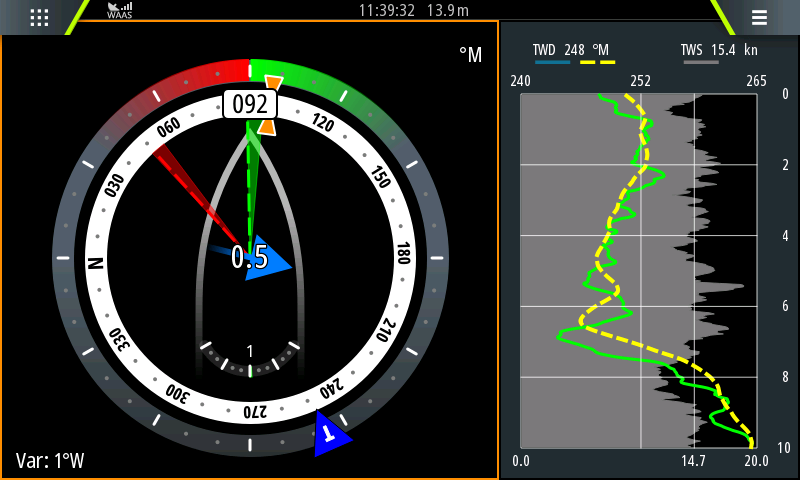 It can also update the Navionics chart card in the MFD with the latest chart data. 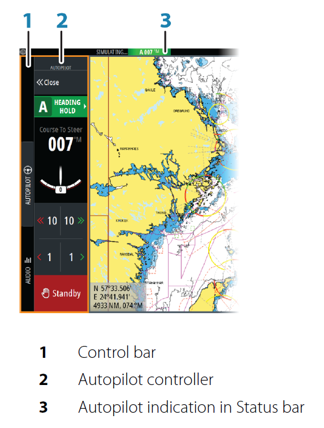 * Dock-to-Dock feature requires a Navionics chart card with an active chart updates subscription. The Navionics Autorouting function is disabled in any unit designed for the U.S. region. All other models will automatically disable this feature when being used in U.S. territorial waters. 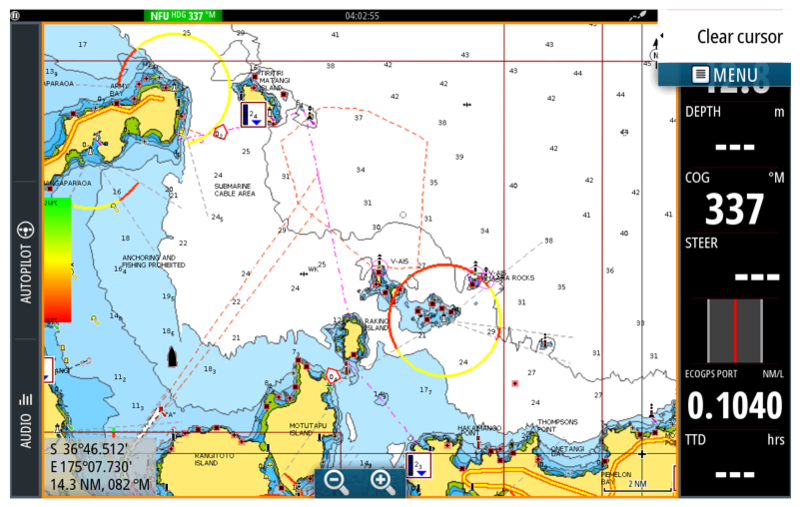 ** SonarChart™ Requires a Navionics chart card with an active chart updates subscription. ***Plotter Sync requires a Navionics app with an active subscription and a Navionics chart card with an active chart updates subscription. Requires an MFD with internal Wi-Fi or connected to a WIFI-1 module.